"No Coward Soul, Jack Nalty (1902-1938)"
The book was written by Jack's nephew, Steve Nugent, and published by Firehouse Productions, Toronto, 2003. Extract from the foreword and acknowledgements by Steve Nugent. "I have only one memory of my uncle Jack. He was carrying me on his shoulders, running up and down stairs at his home in Convent Avenue, Dublin, probably not long before he left for Spain at the end of 1936. I can still recall that feeling of joy and energy and exhilaration that I experienced. "Jim, my older brother, has three memories: Jack coming back from work to his earlier home in East Wall Road, of Jack trying to settle a dispute between Jim and me as we fought, and of once seeing him standing outside the oil depot, where he worked, smoking a cigarette. "I was playing with toys on the floor in the kitchen of my family home when I overheard that he had been killed but I don't recall having any emotional response to the news. At some later time, I recall my grandmother saying angrily that Franco had 'shot his way to power' but the meaning was lost on me then. I grew up knowing that Jack had been in the IRA, that he had been 'on the run', that he hid guns in the family home and that he died in Spain, but I did not understand until I recently researched his life that he had soldiered in three wars - the Irish War of Independence, the Irish Civil War, and the Spanish Civil War, offering his life to each of those causes. "I discovered little about Jack's inner life, and details of his life are unfortunately sparse. I tried to avoid fleshing out his story with speculation and conjecture about motivation or choices that he made, as motivation is complex and often inexplicable. Every person who fought and died in those times for their beliefs make up the history of the time just as the history of the time determined them. Setting his story against the great size of events of one of the most troubled periods in Irish and Spanish history might seem to diminish his achievements, but in portraying those events, I wished to provide a context and background into which he fitted his aspirations and ambitions. Perhaps we can then get to know something more of him by looking around him…………………………………………………………………………." "Accounts of his time in Spain during the Civil War were mainly taken from books about the Spanish Civil War and from personal communications with other Brigadiers and writers. "I travelled through the barren areas of Spain where he fiercely fought his last battle, and there is no burial place. He had disappeared and we had hardly known him. I feared that he would vanish from our minds, that his valour, not only on the battlefield but also in the area of his community activism, would go unacknowledged. "So I chose to write about him primarily to attempt to show the kind of man that he was, knowing, from what I learned about him, that he would not have wanted to be made into a hero - in his opinion that would be for others." Jack was born in Ballygar, Co. Galway, on September 7, 1902. His father, Stephen, at that time was a Constable in the Royal Irish Constabulary. [His brother] "Staffie, the oldest brother, christened Stephen O'Connor Nalty, was born in Ballygar on November 7, 1895, and continued to live in the West. He joined the British army in World War 1 (1914-1918) along with about 200,000 other Irishmen. He was in the trenches at the Somme, survived that slaughter..."
[Another brother, Mick] was an apprentice carpenter in the Dublin Dockyard Co. for five years qualifying in 1926. …He worked at Harland and Wolff in 1928." A sister, Maisie, was spied upon by the Detective Branch, Special Section, Dublin Castle in 1941. She was 28 and apparently acted as an IRA courier. "Jack was educated initially in a local National Primary school and, after the move to Dublin at O'Connell School on Richmond Street which had a reputation for harsh treatment of its students. In Jack's words, it was 'controlled by the Christian Brothers.'" In 1917, aged 15, Jack Nalty joined the Fianna, which he later described as "a national revolutionary movement for Irish boys, closely connected to the IRA." In 1919 he left school and worked for the Anglo-American Oil Company in Dublin. He also moved over into the IRA that year and was a member of C Company, No. 1 Battalion of the Dublin Brigade, taking part in 'several actions'. During the Irish Civil War he was one of over 11,000 republicans arrested. At one point in the 1920's he joined the Revolutionary Workers Group, the forerunner of the Communist Party of Ireland, while remaining in the IRA. In 1931 he was again jailed. From at least 1925-31 Jack was an active long distance runner with the Dublin City Harriers, winning a series of prizes and representing Irish in 1931 in a cross country competition. He was jailed for 6 weeks for his role in the union dispute at the Dublin 'Bacon Shops' chain - others also jailed for this protest were Charlie Donnelly and Dinny Coady, both of who also died in Spain. Jack Nalty was one of a group which left Dublin for Spain on Friday 11th December 1936. Trained at Madrigueras, near Albacete. They were engaged in action on Boxing Day 1936 when they fought at the village of Lopera. At Villa del Rio, Donal O'Reilly describes Nalty being wounded. "Jack Nalty is hit. I won't look. Paddy Duff attends him. I glance and see both sides of Jack's chest is hit. I feel I must cry or act like a pig, so I go back to the gun for relief. Its clear Jack is badly hit. I think he is finished." Of the Irish, 8 died, including young Tommy Wood, the youngest Irish fatality of the war. Jack later said that "We went into action on the Cordoba front on Dec. 27th. On the following day I received 3 bullets from a machine-gun and spent three months in hospital. He left hospital he was posted to an officer's training school and he'd recorded as being there on April 25th 1937. 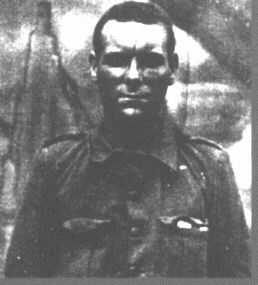 Despite being sent home Nalty is one of a handful of Irish volunteers who returned to Spain, re-joining the British Battalion on April 10th 1938. A copy of a letter, August 24th 1938, from Jack Nalty to Jeannie Glennon, 17 Mid Mountjoy Street, Dublin. Nalty thanked Jeannie Glennon for "your welcome and cheerful letter" and also thanked Maggie for her letter and cigs. Nalty was killed in September 1938 and there is no marked grave.